Our highest performing range of cables - audiophile grade. Treat both your eyes and your ears by using our Bespoke cables! 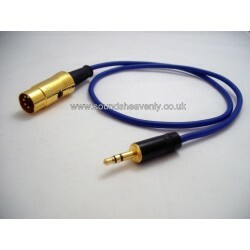 This input cable allows you to connect an audio device (such as a TV, iPod/iPad/iPhone, Mac/PC computer or MP3 player) into your music system using the 5 pin DIN input socket. Our range of Bespoke High-End cables are each hand-built to-order in our UK workshop using the highest quality components including premium Van Damme Silver-coated Ultra Pure OFC cable and gold-plated plugs. This is our premium choice for a no-compromise cable that both looks and performs the part - yet still remains fairly priced! 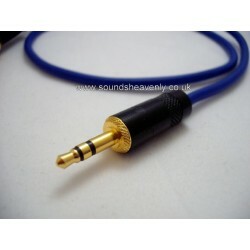 This input cable allows you to connect an audio device (such as a TV, iPod/iPad/iPhone, Mac/PC computer, MP3 player and more!) into your music system using the 5 pin DIN input socket. Available in a choice of standard colours, plus a range of custom colours available to special order (please ask us for details if this option is of interest!). 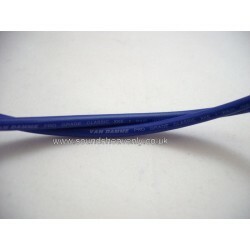 Low loss conductors make this cabling perfect for longer cable runs. 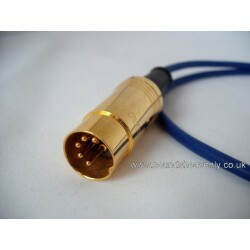 Compatibility: This cable will fit almost all Naim, Quad, Meridian, A&R or Leak audio systems. Please check before you buy - if you are in any doubt, please ask! Our Bespoke High-end cable range now includes a complement of both input and output cables - now you can upgrade your inputs and interconnects for unsurpassed audio quality!